A group of six newly discovered proteins may help to divulge secrets of how we age, potentially unlocking insights into diabetes, Alzheimer’s, cancer and other aging-related diseases. The tiny proteins appear to play several big roles in our bodies’ cells, from decreasing the amount of damaging free radicals and controlling the rate at which cells die to boosting metabolism and helping tissues throughout the body respond better to insulin. The naturally occurring amounts of each protein decrease with age, leading researchers to believe that they play an important role in the aging process and the onset of diseases linked to older age. 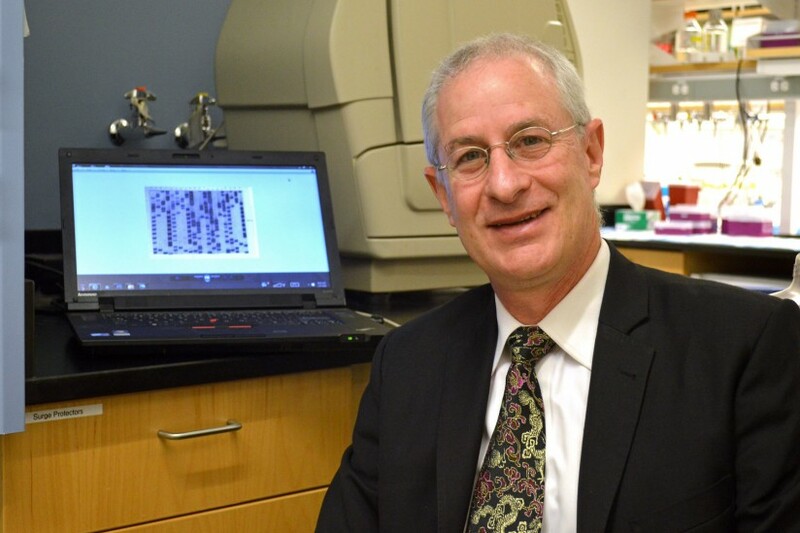 The research team led by Pinchas Cohen, dean of the USC Davis School of Gerontology, identified the tiny proteins for the first time and observed their surprising origin from organelles in the cell called mitochondria and their game-changing roles in metabolism and cell survival. This latest finding builds upon prior research by Cohen and his team that uncovered two significant proteins, humanin and MOTS-c, hormones that appear to have significant roles in metabolism and diseases of aging. Unlike most other proteins, humanin and MOTS-c are encoded in mitochondria, the structure within cells that produces energy from food, instead of in the cell’s nucleus where most genes are contained. Mitochondria have their own small collection of genes, which were once thought to play only minor roles within cells but now appear to have important functions throughout the body. Cohen’s team used computer analysis to see if the part of the mitochondrial genome that provides the code for humanin was coding for other proteins as well. The analysis uncovered the genes for six new proteins, which were dubbed small humanin-like peptides, or SHLPs, 1 through 6 (the name of this hardworking group of proteins is appropriately pronounced “schlep”). After identifying the six SHLPs and successfully developing antibodies to test for several of them, the team examined both mouse tissues and human cells to determine their abundance in different organs as well as their functions. The proteins were distributed quite differently among organs, which suggests that the proteins have varying functions based on where they are in the body. Of particular interest is SHLP 2, Cohen said. The protein appears to have profound insulin-sensitizing, anti-diabetic effects as well as potent neuro-protective activity that may emerge as a strategy to combat Alzheimer’s disease. He added that SHLP 6 is also intriguing, with a unique ability to promote cancer cell death and thus potentially target malignant diseases. The study first appeared online in the journal Aging on April 10. Cohen’s research team included collaborators from the Albert Einstein College of Medicine; the findings have been licensed to the biotechnology company CohBar for possible drug development. The research was supported by a Glenn Foundation Award and National Institutes of Health grants to Cohen (1P01AG034906, 1R01AG 034430, 1R01GM 090311, 1R01ES 020812) and an Ellison/AFAR postdoctoral fellowship to Kelvin Yen. Study authors Laura Cobb, Changhan Lee, Nir Barzilai and Pinchas Cohen are consultants and stockholders of CohBar Inc.
Nir Barzilai hopes to persuade FDA to bless the proposed anti-aging trial, which is unconventional in its goals and design. On a blazingly hot morning this past June, a half-dozen scientists convened in a hotel conference room in suburban Maryland for the dress rehearsal of what they saw as a landmark event in the history of aging research. In a few hours, the group would meet with officials at the U.S. Food and Drug Administration (FDA), a few kilometers away, to pitch an unprecedented clinical trial—nothing less than the first test of a drug to specifically target the process of human aging. “We think this is a groundbreaking, perhaps paradigm-shifting trial,” said Steven Austad, chairman of biology at the University of Alabama, Birmingham, and scientific director of the American Federation for Aging Research (AFAR). After Austad’s brief introductory remarks, a scientist named Nir Barzilai tuned up his PowerPoint and launched into a practice run of the main presentation. Barzilai is a former Israeli army medical officer and head of a well-known study of centenarians based at the Albert Einstein College of Medicine in the Bronx, New York. To anyone who has seen the ebullient scientist in his natural laboratory habitat, often in a short-sleeved shirt and always cracking jokes, he looked uncharacteristically kempt in a blue blazer and dress khakis. But his practice run kept hitting a historical speed bump. He had barely begun to explain the rationale for the trial when he mentioned, in passing, “lots of unproven, untested treatments under the category of anti-aging.” His colleagues pounced. Barzilai, a 59-year-old with a boyish mop of gray hair, wore a contrite grin. “We know the FDA is concerned about this,” he conceded, and deleted the offensive phrase. The group’s paranoia about the term “anti-aging” captured both the audacity of the proposed trial and the cultural challenge of venturing into medical territory historically associated with charlatans and quacks. The metformin initiative, which Barzilai is generally credited with spearheading, is unusual by almost any standard of drug development. The people pushing for the trial are all academics, none from industry (although Barzilai is co-founder of a biotech company, CohBar Inc., that is working to develop drugs targeting age-related diseases). The trial would be sponsored by the nonprofit AFAR, not a pharmaceutical company. No one stood to make money if the drug worked, the scientists all claimed; indeed, metformin is not only generic, costing just a few cents a dose, but belongs to a class of drugs that has been part of the human apothecary for 500 years. Patient safety was unlikely to be an issue; millions of diabetics have taken metformin since the 1960s, and its generally mild side effects are well-known. Finally, the metformin group insisted they didn’t need a cent of federal money to proceed (although they do intend to ask for some). Nor did they need formal approval from FDA to proceed. But they very much wanted the agency’s blessing. By recognizing the merit of such a trial, Barzilai believes, FDA would make aging itself a legitimate target for drug development. APRIL 13, 2016 BY MAGDALENA KEGEL IN NEWS. CohBar, a developer of mitochondria-based therapeutics, announced that preclinical research by its academic collaborators has found small humanin-like peptides (SHLPs) that can control metabolism and cell survival. The findings have implications for age-related diseases such as Alzheimer’s and cancer. The study, “Naturally Occurring Mitochondrial-derived Peptides are Age-dependent Regulators of Apoptosis, Insulin Sensitivity, and Inflammatory Markers,” was the result of a joint effort between researchers at the University of Southern California (USC) and theInstitute for Aging Research at the Albert Einstein College of Medicine of Yeshiva University. The study was published in the journal Aging. Researchers discovered the SHLPs by examining the genome of mitochondria with the help of a bioinformatics approach, which identified six peptides. The team then verified the presence of the factors and explored their function in laboratory animals. CohBar, who have the exclusive license to develop SHLPs into therapeutics, works closely with its academic partners to explore the peptides in preclinical models. While it was previously believed that mitochondria only have 37 genes, research has revealed that the mitochondrial genome is far more versatile, potentially harboring a multitude of new genes, which can encode peptides acting as cellular signaling factors. The peptides, it has turned out, have shown neuroprotective and anti-inflammatory effects, and act to protect cells in disease-modifying ways in preclinical models of aging. CohBar’s goal is to bring these peptides to the market as therapies for age-related diseases, such as obesity, type 2 diabetes, cancer, atherosclerosis and neurodegenerative disorders. Mitochondria are key players in aging and in the pathogenesis of age-related diseases. Recent mitochondrial transcriptome analyses revealed the existence of multiple small mRNAs transcribed from mitochondrial DNA (mtDNA). Humanin (HN), a peptide encoded in the mtDNA 16S ribosomal RNA region, is a neuroprotective factor. An in silico search revealed six additional peptides in the same region of mtDNA as humanin; we named these peptides small humanin-like peptides (SHLPs). We identified the functional roles for these peptides and the potential mechanisms of action. The SHLPs differed in their ability to regulate cell viability in vitro. We focused on SHLP2 and SHLP3 because they shared similar protective effects with HN. Specifically, they significantly reduced apoptosis and the generation of reactive oxygen species, and improved mitochondrial metabolism in vitro. SHLP2 and SHLP3 also enhanced 3T3-L1 pre-adipocyte differentiation. Systemic hyperinsulinemic-euglycemic clamp studies showed that intracerebrally infused SHLP2 increased glucose uptake and suppressed hepatic glucose production, suggesting that it functions as an insulin sensitizer both peripherally and centrally. Similar to HN, the levels of circulating SHLP2 were found to decrease with age. These results suggest that mitochondria play critical roles in metabolism and survival through the synthesis of mitochondrial peptides, and provide new insights into mitochondrial biology with relevance to aging and human biology. Human mitochondrial DNA (mtDNA) is a double-stranded, circular molecule of 16,569 bp and contains 37 genes encoding 13 proteins, 22 tRNAs, and 2 rRNAs. Recent mitochondrial transcriptome analyses revealed the existence of small RNAs derived from mtDNA . In 2001, Nishimoto and colleagues identified humanin (HN), a 24-amino-acid peptide encoded from the 16S ribosomal RNA (rRNA) region of mtDNA. HN is a potent neuroprotective factor capable of antagonizing Alzheimer’s disease (AD)-related cellular insults . HN is a component of a novel retrograde signaling pathway from the mitochondria to the nucleus, which is distinct from mitochondrial signaling pathways, such as the SIRT4-AMPK pathway . HN-dependent cellular protection is mediated in part by interacting with and antagonizing pro-apoptotic Bax-related peptides  and IGFBP-3 (IGF binding protein 3) . Because of their involvement in energy production and free radical generation, mitochondria likely play a major role in aging and age-related diseases [6–8]. In fact, improvement of mitochondrial function has been shown to ameliorate age-related memory loss in aged mice . Recent studies have shown that HN levels decrease with age, suggesting that HN could play a role in aging and age-related diseases, such as Alzheimer’s disease (AD), atherosclerosis, and diabetes. Along with lower HN levels in the hypothalamus, skeletal muscle, and cortex of older rodents, the circulating levels of HN were found to decline with age in both humans and mice . Notably, circulating HN levels were found to be (i) significantly higher in long-lived Ames dwarf mice but lower in short-lived growth hormone (GH) transgenic mice, (ii) significantly higher in a GH-deficient cohort of patients with Laron syndrome, and (iii) reduced in mice and humans treated with GH or IGF-1 (insulin-like growth factor 1) . Age-dependent declines in the circulating HN levels may be due to higher levels of reactive oxygen species (ROS) that contribute to atherosclerosis development. Using mouse models of atherosclerosis, it was found that HN-treated mice had a reduced disease burden and significant health improvements [12,13]. In addition, HN improved insulin sensitivity, suggesting clinical potential for mitochondrial peptides in diseases of aging . The discovery of HN represents a unique addition to the spectrum of roles that mitochondria play in the cell [14,15]. A second mitochondrial-derived peptide (MDP), MOTS-c (mitochondrial open reading frame of the 12S rRNA-c), has also been shown to have metabolic effects on muscle and may also play a role in aging . We further investigated mtDNA for the presence of other MDPs. Recent technological advances have led to the identification of small open reading frames (sORFs) in the nuclear genomes ofDrosophila[17,18] and mammals [19,20]. Therefore, we attempted to identify novel sORFs using the following approaches: 1) in silico identification of potential sORFs; 2) determination of mRNA expression levels; 3) development of specific antibodies against these novel peptides to allow for peptide detection in cells, organs, and plasma; 4) elucidating the actions of these peptides by performing cell-based assays for mitochondrial function, signaling, viability, and differentiation; and 5) delivering these peptides in vivo to determine their systemic metabolic effects. Focusing on the 16S rRNA region of the mtDNA where the humanin gene is located, we identified six sORFs and named them small humanin-like peptides (SHLPs) 1-6. While surveying the biological effects of SHLPs, we found that SHLP2 and SHLP3 were cytoprotective; therefore, we investigated their effects on apoptosis and metabolism in greater detail. Further, we showed that circulating SHLP2 levels declined with age, similar to HN, suggesting that SHLP2 is involved in aging and age-related disease progression. Epidemiological studies have demonstrated that increased levels of mediators of inflammation and acute-phase reactants, such as fibrinogen, C-reactive protein (CRP), and IL-6, correlate with the incidence of type 2 diabetes mellitus (T2DM) [34–36]. In humans, anti-inflammatory drugs, such as aspirin and sodium salicylate, reduce fasting plasma glucose levels and ameliorate the symptoms of T2DM. In addition, anti-diabetic drugs, such as fibrates  and thiazolidinediones , have been found to lower some markers of inflammation. SHLP2 increased the levels of leptin, which is known to improve insulin sensitivity, but had no effect on the levels of the pro-inflammatory cytokines IL-6 and MCP-1. SHLP3 significantly increased the leptin levels, but also elevated IL-6 and MCP-1 levels, which could explain the lack of an in vivo insulin-sensitizing effect of SHLP3. The mechanism by which SHLPs regulate the expression of metabolic and inflammatory markers remains unclear and needs to be further investigated. Furthermore, SHLPs have different effects on inflammatory marker expression, suggesting differential regulation and function of individual SHLPs. Mitochondria have been implicated in increased lifespan in several life-extending treatments [39,40]; however, it is not known whether the relationship is correlative or causative . Additionally, it is well known that hormone levels change with aging. For example, levels of aldosterone, calcitonin, growth hormone, and IGF-I decrease with age. Circulating HN levels decline with age in humans and rodents, specifically in the hypothalamus and skeletal muscle of older rats. These changes parallel increases in the incidence of age-associated diseases such as AD and T2DM. The decline in circulating SHLP2 levels with age (Fig. 6), the anti-oxidative stress function of SHLP2 (Fig. 3C), and its neuroprotective effect (Fig. 6B) indicate that SHLP2 has a role in the regulation of aging and age-related diseases. By analyzing the mitochondrial transcriptome, we found that sORFs from mitochondrial DNA encode functional peptides. We identified many mRNA transcripts within 13 protein-coding mitochondrial genes . Such previously underappreciated sORFs have also been described in the nuclear genome . The MDPs we describe here may represent retrograde communication signals from the mitochondria to the nucleus and may explain important aspects of mitochondrial biology that are implicated in health and longevity. Larry, John Walker is working on mt proteins dynamics. His rotor – stator mechanism in ATPase synthase, a ‘complex’ that biologist accepted as energy generator is likely wrong. I was suppose to have met him in Germany few years ago. Energy in biological systems has nothing to do with heat. Heat is an outcome of a reaction, meaning that IR spectra accordingly to wave theory is a source of information memorized in water interference with carbon open systems within protein and glyo-proteins complexes as well as genome space-time outcomes. Physically speaking from a pure perspective of science ATP is highly unstable form of phosphate ‘chains’. It cannot hold energy, it is actually in contrary, it is like a resonator, trapping negativity, thus functioning as space propeller by expanding carbon skeleton of protein ‘machines’ Now, we don’t know what is ‘aging’ in a pure physical sense, except that we observe structural changes in what we call complexes. We we know is that proteins are not stationary structures, but highly dynamic forms of matter, seemingly occupying discrete and relative spaces. A piece of mt ATP ase could be discovered in the nucleus as transcription factor. Our notion of operational space in terms of electro dynamics from a motor – stator perspective is now translated toward defining semi conducting and supracoductive strings. The reality of which is so much more fascinating and beautiful as time progresses overally. There are spaces where time does not change, and there are spaces where time walks, and there are spaces, where time flies, and there are spaces where time runs. Amazing, indeed! The story of aging gets a lot deeper that science could even imagine, probably to roots of immortal energy- spaces. We know that matter is transient, that is nearly all living matter, replenishes of about 3 to 7 weeks. Take a glass full of some kind of liquid, you know the mass of the glass and the mass of the liquid (say wine, beer, water, or milk) You also know to an approximate reality the composition of both. Now lift the glass full of liquid and let it break on a surface of your choice. Depending on the surface pieces of the glass would travel differential from a center projected by the vertical axis of your hand. What technology does today is recollecting those pieces and modelling them to fit in a form again that would resemble a holding device, a glass. The liquid we don’t know exactly how it spilled due the nature of its absorbancy of both surface physics and physical ‘state’ properties. Thus we can say how much approximate energy we have held thinking of m/z as time flight objectives. Each technology can read 1D and approximate the 2D, absolutely lacking computational methodology for 3D dynamic reality. Many scientists confuse space and volume. Volume is a one dimensional characteristic! So is crystalography! BY taking quantum chemical method computing principles following imaginative rules we could approach 2D, however , that is not enough to define 3D. Time we use as a reference frame of clocks we have invented in order to keep track of a sense to observable ‘change’ . But remember, time is absolute and parallel in continuity while energy is discrete , coming in quantum packages, realization of accumulated information. Information is highly redundant we see, so annotating information is an objective to modern days simulations that could predict outcomes of possible parallel realities we call worlds. One could ‘jump’ from one reality to another through guidance of light and water, but what remains unsolved is why people make mistakes, constantly by accusing in name of greed and power , or disobedience of commandments of the Lord! The Cell Danger Response (CDR) is defined in terms of an ancient metabolic response to threat. The CDR encompasses inflammation, innate immunity, oxidative stress, and the ER stress response. The CDR is maintained by extracellular nucleotide (purinergic) signaling. Abnormal persistence of the CDR lies at the heart of many chronic diseases. The cell danger response (CDR) is the evolutionarily conserved metabolic response that protects cells and hosts from harm. It is triggered by encounters with chemical, physical, or biological threats that exceed the cellular capacity for homeostasis. The resulting metabolic mismatch between available resources and functional capacity produces a cascade of changes in cellular electron flow, oxygen consumption, redox, membrane fluidity, lipid dynamics, bioenergetics, carbon and sulfur resource allocation, protein folding and aggregation, vitamin availability, metal homeostasis, indole, pterin, 1-carbon and polyamine metabolism, and polymer formation. The first wave of danger signals consists of the release of metabolic intermediates like ATP and ADP, Krebs cycle intermediates, oxygen, and reactive oxygen species (ROS), and is sustained by purinergic signaling. After the danger has been eliminated or neutralized, a choreographed sequence of anti-inflammatory and regenerative pathways is activated to reverse the CDR and to heal. When the CDR persists abnormally, whole body metabolism and the gut microbiome are disturbed, the collective performance of multiple organ systems is impaired, behavior is changed, and chronic disease results. Metabolic memory of past stress encounters is stored in the form of altered mitochondrial and cellular macromolecule content, resulting in an increase in functional reserve capacity through a process known as mitocellular hormesis. The systemic form of the CDR, and its magnified form, the purinergic life-threat response (PLTR), are under direct control by ancient pathways in the brain that are ultimately coordinated by centers in the brainstem. Chemosensory integration of whole body metabolism occurs in the brainstem and is a prerequisite for normal brain, motor, vestibular, sensory, social, and speech development. An understanding of the CDR permits us to reframe old concepts of pathogenesis for a broad array of chronic, developmental, autoimmune, and degenerative disorders. These disorders include autism spectrum disorders (ASD), attention deficit hyperactivity disorder (ADHD), asthma, atopy, gluten and many other food and chemical sensitivity syndromes, emphysema, Tourette’s syndrome, bipolar disorder, schizophrenia, post-traumatic stress disorder (PTSD), chronic traumatic encephalopathy (CTE), traumatic brain injury (TBI), epilepsy, suicidal ideation, organ transplant biology, diabetes, kidney, liver, and heart disease, cancer, Alzheimer and Parkinson disease, and autoimmune disorders like lupus, rheumatoid arthritis, multiple sclerosis, and primary sclerosing cholangitis. Mutations in our mitochondrial DNA tend to be inconspicuous, but they can become more prevalent as we age. They can even vary in frequency from cell to cell. Naturally, some cells will be relatively compromised because they happen to have a higher percentage of mutated mitochondrial DNA. Such cells make a poor basis for stem cell lines. They should be excluded. But how? To answer this question, a team of scientists scrutinized skin fibroblasts, blood cells, and induced pluripotent stem cells (iPSCs) for mitochondrial genome integrity. When the scientists tested the samples for mitochondrial DNA mutations, the levels of mutations appeared low. But when the scientists sequenced the iPS cell lines, they found higher numbers of mitochondrial DNA mutations, particularly in cells from patients over 60. The scientists were led by Shoukhrat Mitalipov, Ph.D., director of the Center for Embryonic Cell and Gene Therapy at Oregon Health & Science University, and Taosheng Huang, M.D., a medical geneticist and director of the Mitochondrial Medicine Program at Cincinnati Children’s Hospital. The Mitalipov/Huang-led team also found higher percentages of mitochondria containing mutations within a cell. The higher the load of mutated mitochondrial DNA in a cell, the more compromised the cell’s function. Since each iPSC line is created from a different cell, each line may contain different types of mitochondrial DNA mutations and mutation loads. To choose the least damaged line, the authors recommend screening multiple lines per patient. “It’s a good idea to check the iPS clones for mitochondrial DNA mutations and make sure you pick a good cell line,” said Dr. Huang. This recommendation appeared April 14 in the journal Cell Stem Cell, in an article entitled, “Age-Related Accumulation of Somatic Mitochondrial DNA Mutations in Adult-Derived Human iPSCs.” This article holds that mitochondrial genome integrity is a vital readout in assessing the proficiency of patient-derived regenerative products destined for clinical applications. Potential therapies using stem cells hold tremendous promise for treating human disease. However, defects in the mitochondria could undermine the iPS cells’ ability to repair damaged tissue or organs. Prior to the creation of a therapeutic iPS cell line, a collection of cells is taken from the patient. These cells will be tested for mutations. If the tester uses Sanger sequencing, older technology that is not as sensitive as newer next-generation sequencing, any mutation that occurs in less than 20% of the sample will go undetected. But mitochondrial DNA mutations might occur in less than 20% of mitochondria in the pooled cells. As a result, mutation rates have not been well understood. “These mitochondrial mutations are actually hidden,” explained Dr. Mitalipov. New Mitalipov paper on stem cell mitochondria: challenge for IPS cell field? A new paper from Shoukhrat Mitalipov’s lab on stem cell mitochondria points to a pattern whereby induced pluripotent stem (IPS) cells tend to have more problems if they are from older patients. What does this paper mean for the stem cell field and could it impact more specifically the clinical applications of IPS cells? The new paper Kang, et al is entitled “Age-Related Accumulation of Somatic Mitochondrial DNA Mutations in Adult-Derived Human iPSCs”. This paper reminds us of the very important realities that mitochondria are key players in stem cell function and that mitochondria have their own genomes that impact that function. A lot of us don’t think about mitochondria and their genome as often as we should. Importantly the team looked at IPS cells derived from both blood and skin cells and found that the former were less likely to have mitochondrial mutations. Mitalipov goes further and suggests that his team’s new findings could support the use of human embryonic stem cells (hESC) derived by somatic cell nuclear transfer (SCNT) which would be expected to have mitochondria with fewer mutations. However, as Loring points out in the Reardon article, SCNT is really difficult to successfully perform and only a few labs in the world can do it at present. In that context, working with hIPSC and adding on the additional layer of mitochondrial DNA mutation screening could be more practical. One might reasonably ask both Egli and oneself, “What is a perfect cell line”? In the end the best approach for use of human pluripotent stem cells of any kind is going to involve a balance between practicality of production and the potentially positive or negative traits of those cells as determined by rigorous validation screening. With this new paper we’ve just learned more about another layer of screening that is needed. An interesting question is whether adult stem cells such as mesenchymal stromal/stem cells (MSC) also should be screened for mitochondrial mutations. They are often produced from patients who are getting up there in years. I hope that someone will publish on that too. As to pluripotent cells, I expect that sometimes the best lines, meaning those most perfect for a given clinical application, will be hIPSC (autologous or allogeneic in some instances) and in other cases they may be hESC made from leftover IVF embryos. If SCNT-derived hESC can be more widely produced in an affordable manner and they pass validation as well then those (sometimes called NT-hESC) may also come into play clinically. So far that hasn’t happened for the SCNT cells, but it may over time. ….. In Brief Mitalipov, Huang, and colleagues show that human iPSCs derived from older adults carry more mitochondrial DNA mutations than those derived from younger individuals. Defects in metabolic function caused by mtDNA mutations suggest careful screening of hiPSC clones for mutational load before clinical application. The genetic integrity of iPSCs is an important consideration for therapeutic application. In this study, we examine the accumulation of somatic mitochondrial genome (mtDNA) mutations in skin fibroblasts, blood, and iPSCs derived from young and elderly subjects (24–72 years). We found that pooled skin and blood mtDNA contained low heteroplasmic point mutations, but a panel of ten individual iPSC lines from each tissue or clonally expanded fibroblasts carried an elevated load of heteroplasmic or homoplasmic mutations, suggesting that somatic mutations randomly arise within individual cells but are not detectable in whole tissues. The frequency of mtDNA defects in iPSCs increased with age, and many mutations were non-synonymous or resided in RNA coding genes and thus can lead to respiratory defects. Our results highlight a need to monitor mtDNA mutations in iPSCs, especially those generated from older patients, and to examine the metabolic status of iPSCs destined for clinical applications. Induced pluripotent stem cells (iPSCs) offer an unlimited source for autologous cell replacement therapies to treat age-associated degenerative diseases. Aging is generally characterized by increased DNA damage and genomic instability (Garinis et al., 2008; Lombard et al., 2005); thus, iPSCs derived from elderly subjects may harbor point mutations and larger genomic rearrangements. Indeed, iPSCs display increased chromosome aberrations (Mayshar et al., 2010), subchromosomal copy number variations (CNVs) (Abyzov et al., 2012; Laurent et al., 2011), and exome mutations (Johannesson et al., 2014), compared to natural embryonic stem cell (ESC) counterparts (Ma et al., 2014). The rate of mtDNA mutations is believed to be at least 10- to 20-fold higher than that observed in the nuclear genome (Wallace, 1994), and often both mutated and wild-type mtDNA (heteroplasmy) can coexist in the same cell (Rossignol et al., 2003). Large deletions are most frequently observed mtDNA abnormalities in aged post-mitotic tissues such as brain, heart, and muscle (Bender et al., 2006; Bua et al., 2006; Corral-Debrinski et al., 1992; Cortopassi et al., 1992; Mohamed et al., 2006) and have been implicated in aging and diseases such as Alzheimer’s disease (AD), Parkinson’s disease (PD), amyotrophic lateral sclerosis (ALS), and diabetes (Larsson, 2010; Lin and Beal, 2006; Petersen et al., 2003; Wallace, 2005). In addition, mtDNA point mutations were reported in some tumors and replicating tissues (Chatterjee et al., 2006; Ju et al., 2014; Michikawa et al., 1999; Taylor et al., 2003). However, the extent of mtDNA defects in proliferating peripheral tissues commonly used for iPSC induction, such as skin and blood, is thought to be low and limited to common non-coding variants (Schon et al., 2012; Yao et al., 2015). Accumulation of mtDNA variants in these tissues with age was insignificant (Greaves et al., 2010; Hashizume et al., 2015). Several point mutations were identified in iPSCs generated from the newborn foreskin fibroblasts, although most of these variants were non-coding, common for the general population, and did not affect their metabolic activity (Prigione et al., 2011). Somatic mtDNA mutations may be under-reported secondary to the level of sample interrogation. ….. Figure 2. mtDNA Mutations in Skin Fibroblasts, Blood, and the iPSCs of a 72-YearOld B Subject (A) Sixteen mutations at low heteroplasmy levels were detected in the DNA of PF, while a panel of ten FiPSC lines carried nine mutations, including four that were homoplasmic. Gray rectangles define the mutations shared between PF and FiPSCs. (B) Venn diagram showing only one mutation in FiPSCs shared with PF. (C) All ten FiPSC lines carried between one and five high-heteroplasmy (>15%) mutations. (D) Mutation distribution in whole blood and BiPSCs was similar to that in PF and FiPSCs. Six mutations at low-heteroplasmy levels were observed in blood, while BiPSC lines displayed 21 mutations, including four over the 80% heteroplasmy level. (E) Venn diagram showing four mutations in BiPSCs shared with whole blood and the 17 novel variants. (F) Distribution of mutations in individual BiPSC lines. See also Figures S2 and S3; Table S1; Table S3, sheet 2; and Table S4, sheet 1 …. Figure 4. Transmission and Distribution of Somatic mtDNA Mutations to iPSCs (A) A total of 112 mtDNA mutations were discovered in parental cells (PF, CF, and blood) from 11 subjects. Of these, 39 variants (35%) were found in corresponding 130 iPSC lines. Among non-transmitted, transmitted, and novel mutations in iPSCs, comparable percentages of variants (68%, 69%, and 79%, respectively) were coding mutations in protein, rRNA, or tRNA genes. This suggests that most pathogenic mutations do not affect iPSC induction. However, certain coding mutations including in ND3, ND4L, and 14 tRNA genes were not detected in iPSCs, suggesting possible pathogenicity. n, the number of mtDNA mutations. Blue font genes were detected in parental cells. (B–D) A total of 80 high heteroplasmic (>15%) variants were detected in the present study in 130 FiPSC or BiPSC lines from 11 subjects. (B) The majority of these variants (76%) were non-synonymous or frame-shift mutations in protein-coding genes or affected rRNA and tRNA genes. (C) More than half of the mutations (56%) were never reported in a database containing whole mtDNA sequences from 26,850 healthy subjects representing the general human population (http://www.mitomap.org/MITOMAP). (D) Most mutations (90%) were never reported in a database containing sequences from healthy subjects with corresponding mtDNA haplotypes. freq., frequent. See also Figure S5 and Tables S3 and S4. …. Mutations will accumulate over age in mitochondrial DNA, however the current study has the difficulty that the authors could not use patient-age-matched controls, in essence they could only compare induced pluripotent stem cells derived from different patients. This could confound the results but the result with higher frequency of mutation in mtDNA in cells reprogrammed from younger patients is interesting but might limit the ability of autologous regenerative therapy in older patients. However reprogramming, although the method not mentioned here although I am assuming by transfection with lentivirus is a rough procedure, involving multiple dedifferentiation steps. Therefore it is very understandable that cells obtained from elderly patients would respond less favorably to such a rough reprogramming regimen, especially if it produced a higher degree of ROS, which has been shown to alter mtDNA. This is why I feel it is more advantageous to obtain a stem cell population from fat cells and forgo the Oct4, htert, reprogramming with lentiviral vectors.